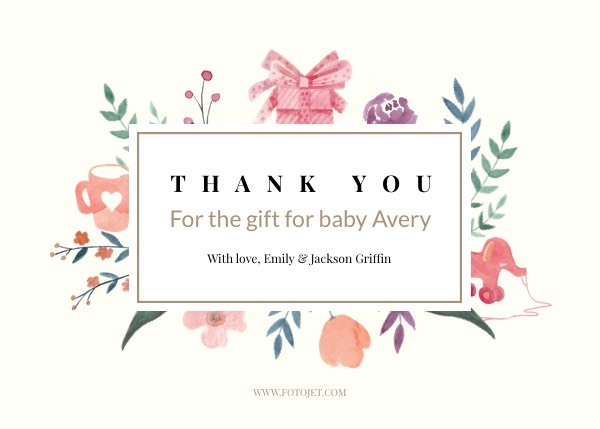 Wanna make thank you cards to show your appreciation for the sweet gifts you have received for your baby? This thank you card template may meet all your needs. It provides ample place for you to add text to show your thanks. The watercolor clipart images show the cuteness, which is very suitable for such cards. Besides, you can add your baby photos to make baby thank you cards. To make printable thank you cards online just cost little time by clicks.